With the title of Mr SA 2014, down-to-earth John Owens proves that beauty is more powerful when it comes from the heart. As an advocate for antibullying and avid supporter of cancer awareness, John’s involved in countrywide projects that touch the lives of children and cancer patients alike. He strives to show that being a male model comes with the responsibility of being a model male; this means living a balanced life in service to the world. John travels the country as master of ceremonies, events judge, presenter and speaker. Ever the romantic, John met his gorgeous wife Chantelle while judging a provincial modelling competition. Married on Valentine’s day, John describes his marriage as a true blessing. John has a young daughter and lives in Pretoria where he engages in a variety of sporting and leisure activities. 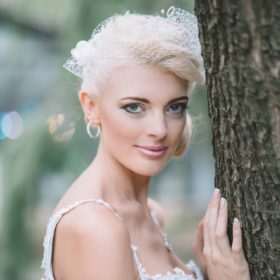 Mrs Planet SA 2016 and wife of Mr South Africa John Owens, Chantelle’s dream is to be the difference. Her strong faith is the cornerstone of her personal life, as well as her career in fashion. She believes that one can be a successful model driven by high ideals and morals. As a passionate supporter of children’s empowerment, Chantelle plans to open a school for girls where they are taught to live inspired lives. She’s currently the proud ambassador for STOP Suicide SA and Tekkie Tax, two compassionate initiatives that continue to better the lives of vulnerable young South Africans across the country. Chantelle’s also very active in the fashion world, shooting music videos, walking in fashion shows and appearing in magazine editorials.